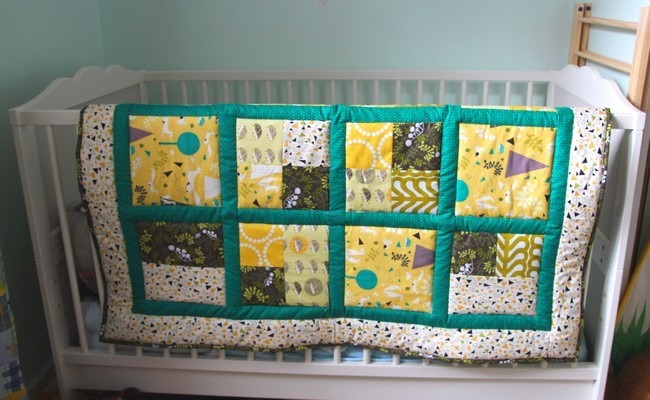 I finished Elijah’s quilt just in time for his birthday. I ended up simply quilting in the ditch around the sashing as I wanted the quilt to feel squishy rather than sort of stiff. I used a loftier batting than usual and it was not much fun at all to quilt! I think this is my best binding ever! I used a strip folded in half and it worked really well. Overall I’m very happy with this quilt. 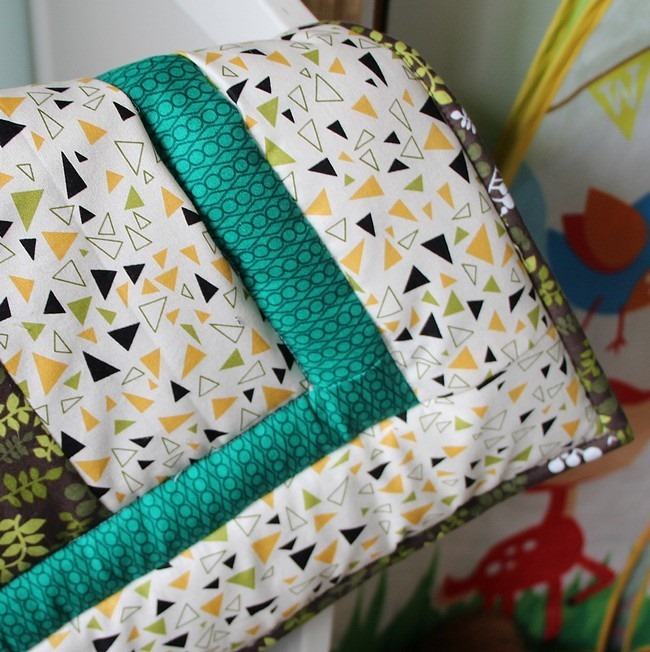 Fabric: Outfoxed Collection by Lizzy House. What I’m not so wrapped with is my photos. I’m still learning how to use my EOS650D and find I’m not great at taking photos of fabric. Garden and people, not so bad, but a craft project.. anyone have any tips for me? love the green! what a great quilt! I feel i need to make a quilt just once, even though it’s not really my thing. 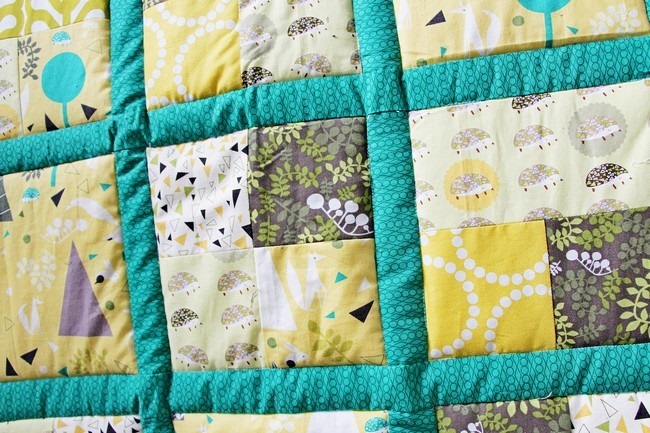 I’m so jealous of all your and essie’s quilts! as for photos of fabrics – i’m by no means great at it, but my recommendation would be to utilise angles and focus, rather than front on photos. And interesting settings and light… my best photos of projects always seem to have depth to them, so not just flat on a surface, but draped over something and not taken front on.